Google’s most talked-about flagship Pixel 3 was recently launched in the market on November 1(India). Since then only, all the specifications of Pixel 3 are in hot conversation. Whether it be its cool features or some nasty bugs, a product backed by a brand as big as Google needs great heed. But, the very basic necessity of today’s cellphones – Camera of Pixel 3 is amongst the down talks of the media. Yes, you read it right! Google’s very own Pixel 3 has a filthy camera bug. 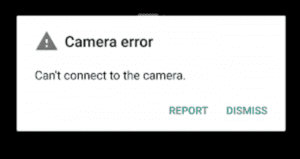 Some people are getting annoying error messages when using the Pixel 3’s camera via third-party apps. While accessing the camera in any third-party app. This camera bug to open and the only rescue out is rebooting the phone. Which anyhow is just a temporary fix! Not only this, the stock camera app doesn’t run its normal course until you reset the phone. Some people have on the other hand reported their phones to be working normally. So, we can say that it might be a bug occurring in some particular batches of the phone only. But for those who have spent their hard-earned money and facing this issue; it’s really a big deal. Media has been constantly trying if Google team could report on this issue asap. Some developers have dug out that this is an Android API issue. The phone system is compelled to believe that the camera lock is still there when it’s not; in turn, the third party app thinks that the camera is in use which is why it throws fatal camera access errors. What-so-ever be the cause of this fault, but the bizarre is that; Google team is denying to issue any replacement or even warranty service. Still, we all have high hopes from Google and firmly believe that the company shall sort this out soon.